← The Sports Archives – The Science Of Fishing – Which Is Better Natural Or Artificial Bait? The Sports Archives – From Football (Soccer) Player To Legend! Being physically fit is massively important. You can’t do much in this game if you’re out of shape. You must keep a careful track of your diet as well as the amount and type of exercise you are doing on a daily basis. It’s important to have a daily practice and exercise routine in place. Football is a very physically demanding game, and once you hit the higher leagues, you’ll be left behind if your fitness isn’t at its peak. Having a tight regime in place will also help to develop a strong character. Essential if you’re going to try for the big leagues. If you’re a young player, skills trump tactics. You need to practice ball control first, then passing and shooting. You shouldn’t worry too much about adopting a position too early on. Your skill set will change as you train, and over your career as a youth player, you’ll often change positions a few times until you decide where on the field suits you best. Listen to your coach. A decent coach will help to guide you to your ideal position. They’ll give you advice and motivation if you’re struggling and help to identify your strengths and weaknesses. Learn the basics, and the rest will come naturally. Finally, you must be confident that you can achieve your dreams. Focus on the fact that you can become a great player and never give up. If you want to make it at this sport, you’re going to need laser-like focus and bags of confidence in your abilities. As a teenager, you’ll face football trial after trial in the hope of getting selected for a pro team’s youth side. Stick at it. Everyone gets rejected. It’s vitally important to keep a level head when you’re embarking on a career in football. School and studying can be a massive chore, but if you don’t make it, you’ll need your grades to fall back on. Working hard at the academic stuff will teach you discipline, but also keep you grounded: You need to realise that not everyone makes it, and a balanced, measured outlook will prevent a whole lot of heartache and sadness further down the line. Football scouts are definitely looking for skills above all else, but many put a huge emphasis on character. Positivity, drive, and a willingness to succeed are the types of traits that win matches. Keep pushing forward, and who knows, some day you might make it to the big leagues. Harry Price is a guest blogger and personal trainer. He enjoys the great outdoors, travelling and marathon training. 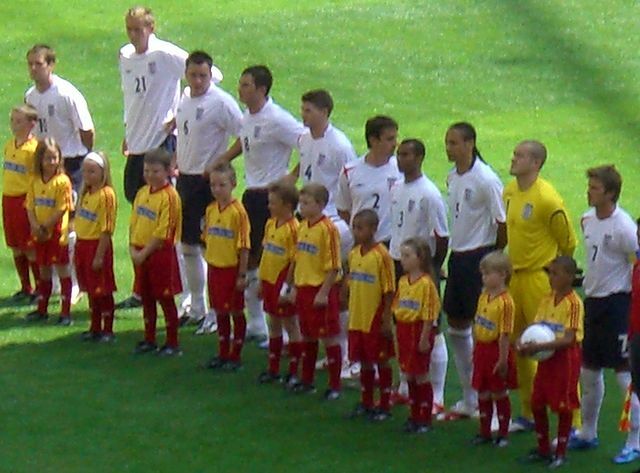 This entry was posted in Soccer and tagged football, football news, football player, football players, football soccer, football soccer blogs, footballers, professional footballer, soccer tips, soccer training tips, soccer trials, sports, sports and diet, sports and training, Sports Archives, Sports Blogs. Bookmark the permalink. 4 Responses to The Sports Archives – From Football (Soccer) Player To Legend! Nice post. Practicing for different positions might be good but it might be important to specialize in one. Thanks for the post.